Huawei’s journey from low-end entry level manufacturer to the third largest shipper of mobile phones in the world has been a gradual one. The adoption and spread of the Huawei brand has been slow, though has been speeding up over the last few years, with their business well established in the lower end, ‘cheap’ smartphone market. But in the last few years, they’ve begun to attack that all important high-end market. Huawei has been slowly getting better each year with their high-end series, the P series has gone from the shaky first steps of the P1 and P2, which though decentish smartphones were less than a flagship could be, straight to the P6 and P7 which were both more on target for a high-end flagship, until we finally get to the P8 which launched in April this year. Coming to market at the end of July, the Huawei P8 is the culmination of design and engineering, with both teams working together to achieve the outcome that is the P8. The P8 enters the market at the $699 price point, which significantly undercuts other flagships. As another tick, Huawei has also managed to have Vodafone offer the P8 on a $70 per month RED plan contract for those looking to spread it out over 24 months. So, it’s positioned as a flagship, it’s certainly ticking a number of boxes when it comes to specs, so how does it fare as such? 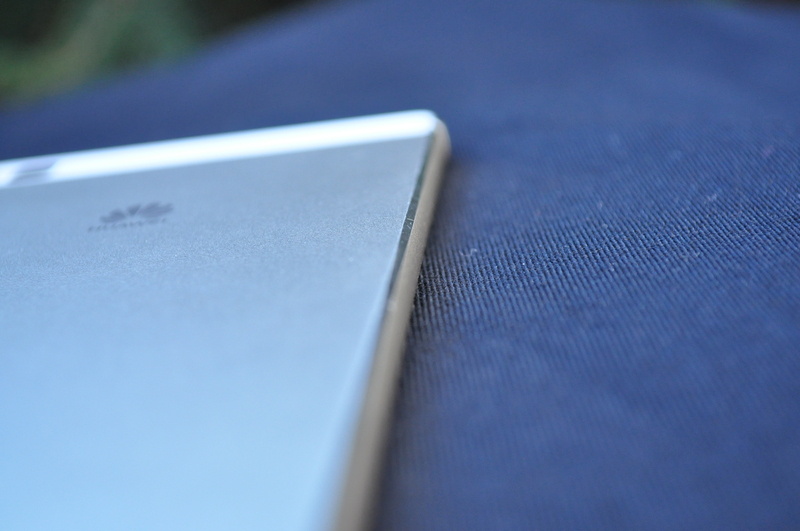 The Huawei P8 is a beautiful phone to look at. The phone has a finely machined aluminium body, a change from the glass backed P7 which is a big plus for a number of people including myself. The metal chassis has a slightly grip pleasing texture on the rear, with sloped chamfered corners just screams premium to me and it’s a testament to Huawei’s experience in phone design and manufacture that even 4 months after powering it up, I’m still using it daily. The sides of the phone house a slightly recessed power button beneath a volume rocker and a dual slots for either dual Nano-SIM or a MicroSD card below. There’s the usual microUSB port at the bottom for charging or alternatively using for USB-OTG to connect hard drives or other USB devices. The microUSB port is straddled with beautifully machined holes for speakers either side – though it’s disappointingly a mono speaker setup. 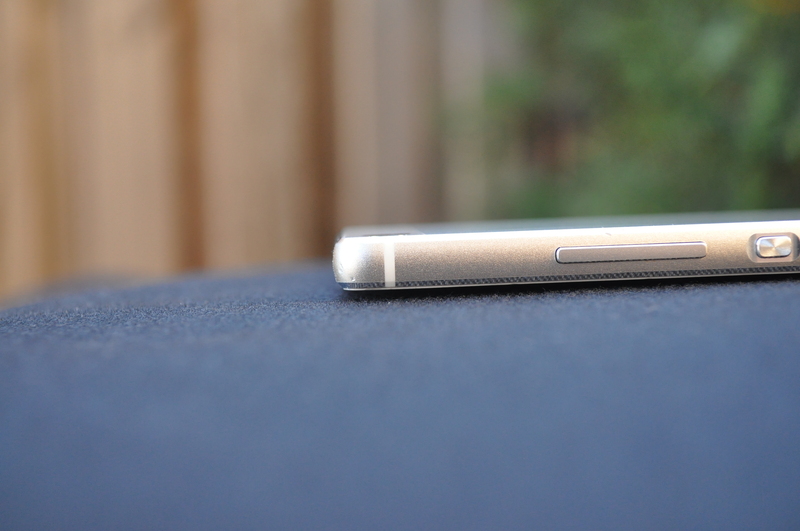 The top simply houses the 3.5mm headphone jack and a small secondary microphone. The Huawei P8 has a 5.2″ IPS-NEO FullHD (1920×1080) display, making for a relatively thin phone which sits comfortably in the hand. The phone hasn’t got too much bezel on the sides of the phone, but there’s certainly smaller ones out there. The display itself is covered by Gorilla Glass 3 and seems quite decent to look at. That 6.4mm thin housing packs in some big name specs though, starting with the Huawei developed 64-bit octa-core HiSilicon Kirin processor and 3GB of LPDDR3 RAM to back it up. 16GB of onboard storage and a microSD card slot round out the internals but suffice to say that aside from wireless AC, all your usual wireless connectivity options including essentially all the LTE bands you could want are on-board. The P8’s slim 6.4mm thin profile comes with no unsightly camera bump on the rear, a plus from the usual flagships which have a slim phone but a massive camera bump marring the profile. Camera wise, Huawei has concentrated a lot of detail here. Their public focus is on the light painting feature in software, but it’s the 13MP Sony IMX278 Sensor used for the rear and 8MP Sony IMX179 sensor on the front that caught our attention – paired with an off-chip ISP, and Optical Image Stabilisation on the rear camera for low-light capture. The phone as a whole, even with a metal body and chassis, has a fairly light heft to it. It’s a pleasant phone to hold which should do well when potential customers check it out on the display table at the various retail and Vodafone outlets. Huawei has done an outstanding job with the display on the P8. As opposed to going to what’s fast becoming considered an over the top QHD resolution display, Huawei has stuck to a 1080p panel, which at 5.2” still makes for an excellent 423ppi. The screen itself is excellent quality, which is really bright and easy to read inside or out. The colours are accurate without being over-saturated. The only complaint I had about the display was an overly aggressive auto-brightness scaling which would seemingly randomly drop in when in bed reading. Simply tilting the phone a little brought it back up in brightness but it was an odd little bug. Purchase a new Huawei P8 by 31 December 2015, and be eligible for one free screen replacement from Huawei for any screen damage within the first 12 months of purchase. After dealing with a couple of smashed screens, I can only applaud this move loudly. It’s great, the damage covers dropping the phone etc, it’s fairly broad in the terms and conditions so definitely worth considering. 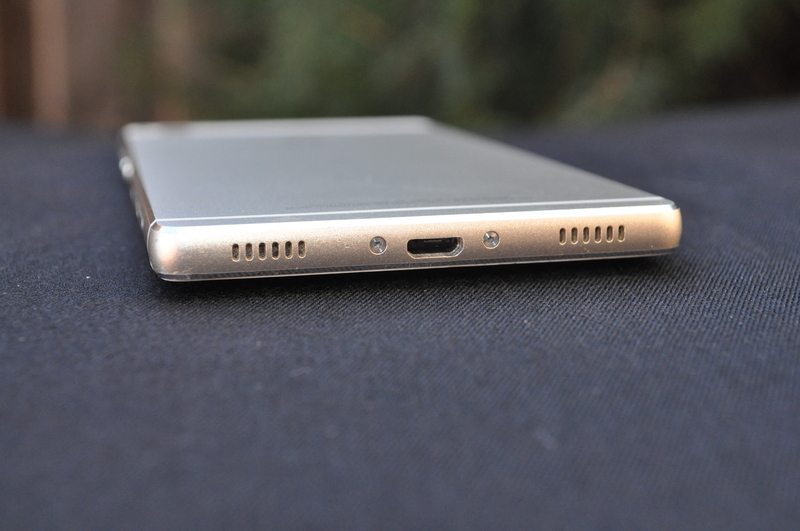 With a 6.4mm profile, the fact that Huawei has jammed a 2,680mAh battery into the frame of the P8 is quite a feat. In terms of all day battery life, it’s not quite there but it’s darn close. After removing the phone off charge at around 5am, and a couple of hours podcasts travelling and at the gym, it was social media, instant messaging web surfing and videos before the phone would begin shutting down around between 5-7pm. It was variable based on what I had done that day, but really it was actually pretty decent. One big concern is that the P8 has no Quick Charge and indeed took a fairly long time to charge, especially after being exposed to Turbo Charging on the Nexus 6. The lack of wireless charging too will be a worry for a number of potential customers. Huawei has done some work on conserving battery life, with a power save mode kicking in at 15%. The prompt comes up, but if you need to use your smartphone as a smartphone you can continue as before, otherwise you’ll see a very cutdown interface with just the basic phone functions on offer. EMUI has also added in battery consumption warnings to their OS, with reminders that an app is still open and operating in the background. You can clear apps from the notification panel or if more than one is open you can select which ones to close from the settings menu. Overall, there’s a thought that adding another millimetre or two to the profile of the phone could have increased the potential for battery life, but it’s such a great looking phone that if you have access to a charger through your day, it’s not that big a deal. 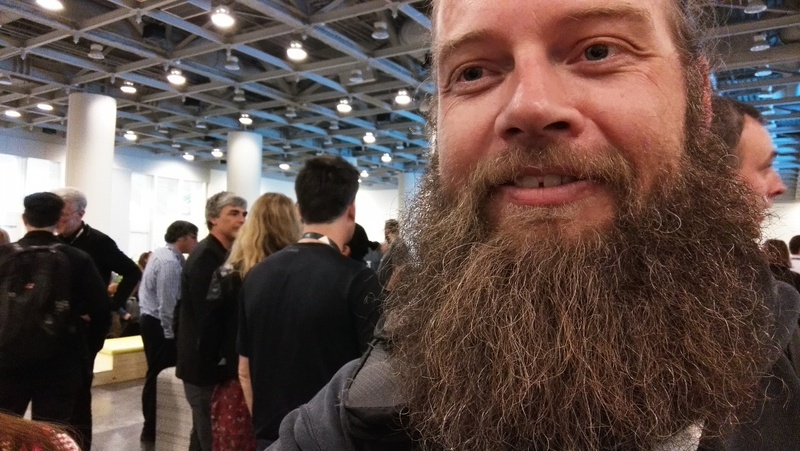 Huawei’s decision to use a high-end 13MP Sony sensor on the P8 was a good one. The sensor includes RGBW which adds a white pixel to the traditional Red/Green/Blue setup on regular cameras. This extra sensor allows for a more true, even natural representation of colours captured by the sensor. The f/2.0 aperture on the camera allows a fair bit of light in which when paired with the Optical Image Stabilisation for low-light photography aids in the ability of the phone to take the fancy light painting and star trails. It’s worth noting that with some phones getting down to f/1.8, the f/2.0 aperture here is a little behind but it’s certainly serviceable when you’re taking a photo in the late afternoon in the fading light. The Sony IMX278 Sensor is apparently paired with a DSLR-level independent image signal processor. No further details on the off-chip ISP have been provided, but in practice, you’ll be pleased with the results. The pictures on the P8 are surprisingly good for a smartphone. The colour and sharpness are right up there where it counts. There can be a tendency to be a little under when it comes to colour saturation, but with a small play with the settings which are fairly easily accessible, you can correct that with ease. I’ve used the P8 in the San Francisco and London to capture a goodly number of happy snaps on the go and the results are printed and framed or displayed proudly on my various social media pages. In terms of the big public focus for the P8, of light painting and star trails, despite my initial enthusiasm to get out and take some, it took effort. I’ve never previously gone out to take these kinds of shots, but when you take the time to get into a dark area and set it up, the results are fairly impressive. Other modes included in the P8 offer watermarking (time/date and place) as well as the usual HDR, Panorama and night mode. The other feature we’ve slowly been seeing creeping in on smartphone cameras is the refocus option called ‘All Focus’ on the P8. All Focus lets you take a pic and then change the focus at a later date and it works quite well without a second lens as a number of other handsets released since the HTC One M8 and its DuoFocus feature have proven. The software on the P8 is pretty decent, with access to exposure, saturation, contrast and overall brightness. The downside is that even with Android 5.0 on the phone, manual controls aren’t supported with any of the third party apps such as Manual Camera – the app fails the Camera2 API check – this is definitely a negative for shutterbugs wanting more out of their camera. The only other thing to note on the Huawei P8 is that though you can record 1080P video at 30FPS, you won’t get any 4K video. It’s not a huge thing, but with a brand new 4K TV at home, it would have been nice. The Huawei P8 includes an 8MP Sony IMX179 front facing camera with an f/2.4 aperture that takes some of the clearest ‘selfies’ I’ve had the pleasure to take. There’s little to say beyond that; it’s a great front-facing camera. The Huawei P8 has a wide variety of connectivity options, though as above, it is missing Wireless AC and dual-band Wifi – that’s right, there’s no 5GHz wi-fi which is a fairly big deal in some places,. Though Wireless AC is missing, you still get Wi-Fi 802.11 8 a/b/g/n though only single band on 2.4GHz. You do get BlueTooth 4.1 and GPS with GLONASS – enough to cover most of your main wants. It’s got a host of sensors as well including G-Sensor, Gyroscope sensor, Ambient Light Sensor, Proximity sensor, Compass, Accelerometer – there’s no real reviewing these, they simply are. The Wi-Fi works well, as does the Bluetooth connecting to my car, bluetooth headphones and the Huawei Talkband with ease. GPS was great with fast lock on and minimal drift when playing Ingress. The navigation in maps was fine and accurate. Huawei has a fairly long and proud history of supplying excellent quality cell connections, as a world leader in 3G/4G technology and it shows with the Huawei P8. The phone covers a broad variety of LTE bands, though they still have a couple of models. The issue with metal phones has been offset by Huawei by including a dual-antenna setup in the phone, with one at the top and one at the bottom, allowing the phone to side-step any so-called ‘Death hold’ issues and allowing the phone to lock onto and maintain cell service even when travelling at high speeds. Huawei has also baked in Miracast support into the P8 under ‘Multi-screen’ in the settings/Quick Settings. The phone picked up both my LG Miracast adapter as well as the AirShare on the Sony TV and it was pretty straightforward to connect and display videos and pictures on the TV. As we said above, the P8 has a really nice set of machined speaker grille at the bottom of the phone, but, sadly these dual speaker grilles hide a single speaker. The sound which comes out of the speaker is about average for a smartphone, it does the job, but there’s no real power to the audio coming out. Trying to play a video to entertain a four year old in a shopping centre is a fools errand, but if you have a set of headphones plugged in, you’ll be fine. Summary is, the sound is Ok, but nothing that’ll overly impress. Performance wise, the P8 is pretty decent. It runs all your apps and games (including 3D games) quite well for the most part, though there is a few issues with apps freezing when you’re at peak use. Multi-tasking can be a bit of a chore and a restart every now and then is warranted. One issue which becomes apparent as you use the P8 (as well as most phones) is that filling storage above 90% tends to result in performance issues. The P8 only has 9.56GB of available storage out of 16GB when you first start the phone up, but a microSD card slot in the second slot means you can expand the storage without too many issues. This will sound like a minor gripe to most people, but to me and several readers it’s an important one – accessories. When Huawei announced the P8, they showed off an exciting eink display case for the phone that allows you to have notifications, books or widgets show on a power sipping eink display built into the case. The issue is – it’s not being released outside of China. I’m fairly disappointed, but if you’re really into the idea of the P8 eink display case you can buy one, it’s just going to be a fair expense to get your hands on it. The Huawei P8 launched with Android 5.0 as a base, it hasn’t seen any updates beyond that, but has seen at least two system updates in the time I’ve had the phone. The history of updates on Huawei devices hasn’t been great, but there have been a few which have filtered through to carrier based devices like the Mate 7, so we’re hopeful that we may see Android 5.1 at some stage. One thing which Huawei has promised to do is look at resolving some of the issues we reported with the P8. We’ll get to those issues shortly. Huawei introduced their Emotion UI, or EMUI as it’s known a few years ago and with the P8, you get EMUI v3.1. The debate over whether it’s a good idea is still raging, but for my mind, the Huawei skin is usable, but with a few glaring issues. The major issue with EMUI for the most part, is the missing app drawer. Huawei has continued with their decision to simply place app icons onto the home screen, which means you simply have pages of apps, with icons strewn across. You can incorporate widgets in amongst your apps, but at no stage have I felt that’s a great choice aesthetically. Admittedly I installed a custom launcher after not too long simply to get an app drawer back. The EMUI skin becomes a lot more usable at that stage. The Notification drop-down and Quick Settings are quite usable, with a smoked glass style theme that looks quite good. You’ll see things like a notifications when you connect earphones into the headphone jack, suggesting apps you can use. Quick settings is split into two windows which you can scroll up/down to access your most used Quick Settings. There’s a lot more here than you find in a stock Android launcher, and there’s options to edit the Quick settings to display icons in the order you want them to be in. Below the Quick Settings is your usual screen brightness slider, and option to turn Auto-Brightness on or off – something that’s always handy to have quick access to. Each Theme has options to customise the theme with parts of the other themes, but unlike the Theme options on the Galaxy S6 or One M9, there’s not a ‘Theme Store’ as such to import new themes, which is a shame. Not exactly a Theme per se, but there’s also a ‘Simple’ view found in the settings menu under ‘Homescreen Style’ for anyone who finds the whole Smartphone style home screen which makes it a little easier to access your functions, but overall, it’s not great. Huawei has incorporated a Notification Centre into the EMUI engine, the notification centre allows you to control where apps can notify you if at all. You can choose to allow notifications, turn them off altogether or have more granular control to allow notifications on certain places : Status Bar, Banners or Lock Screen. There’s a glaring omission in Notification Centre. All of the pre-installed Google Apps: Gmail, Calendar etc which for the most part you want to be notified for, aren’t included in the list. 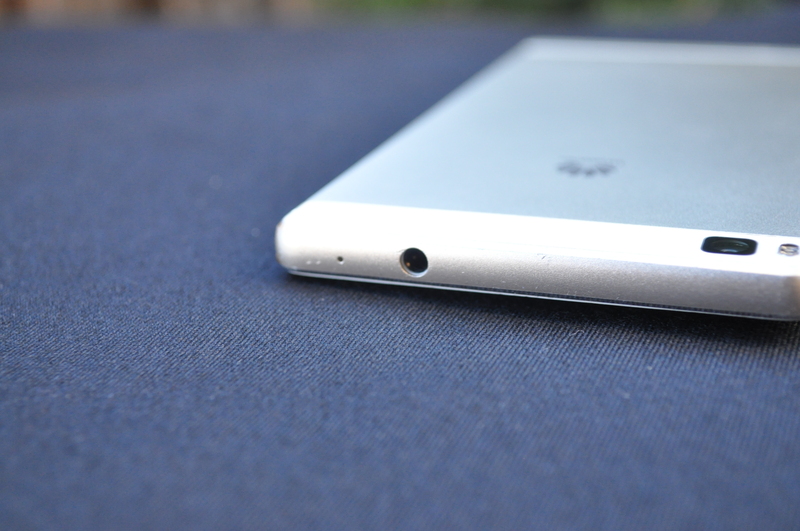 There’s another major issue with the Huawei P8 or to be more precise with EMUI. After transitioning to Telegram for instant messaging within the Ausdroid team, I had a major issue with the Huawei P8, the phone refuses to display notifications from Telegram until you open the app. The issue has been solved though, it appears that notifications fail due to apps being put into a powered down state by the OS. You have to enable them in the power management section to allow notifications through – how an every day user would know to do this is unclear and most likely will result in frustration. This isn’t the only app that has issues, PushBullet also is affected, though that appears to be linked to another issue: Android Wear. Android Wear doesn’t work with the Huawei P8/EMUI, this is going to be a major problem for Huawei once they release the Huawei Watch (very likely in September). The Android Wear app will pair with a watch, but can’t maintain the connection and sits constantly searching for the connection. The notification settings seem to switch off as soon as you turn the screen off. Adding Android Wear to the list of Protected Apps doesn’t help. The Lock Screen for EMUI isn’t as good as it could possibly be, there’s issues with notifications from Google apps not showing, and you can’t expand notifications which Google introduced in Lollipop a real shame after coming from a more stock Android experience. There is the ability to change the ‘Magazine’ style lock screen, including the covers which is the name that Huawei has chosen for the pictures that appear on your lock screen. Changing covers is a slightly confusing experience, you use the swipe up gesture from the bottom of the screen at the lock screen and select ‘Covers’ ,once here you can choose what type of covers your phone automatically downloads or displays. This swipe up gesture also has some other quick settings, including app shortcuts to Voice Recorder, Calculator, Torch and Camera, as well as your music controls – Pause, Skip, Next. We’ve all had issues with larger screen devices, yes even a 5.2” device is a little unwieldy for some people. Huawei has incorporated a couple of features into EMUI to help with this. There’s a One Hand Layout which shrinks the whole screen down to make things easier to access, which is enabled by swiping along the soft keys (and disabled by touching outside the active screen). There’s an option to shrink the keyboard down and then swap it to the left or right side – handy for the lefties out there. For the serial screenshotter there’s a double tap to screenshot, which simply lets you double tap the screen to take a screenshot. It’s simple, but annoying when you accidentally double tap a lot – be prepared to delete a lot of irrelevant screenshots on a regular basis with this setting on. Finally, there’s a ‘pie-control’ like ‘Suspend’ button, which hangs above the UI like a ChatHead. The suspend button is in function like your soft keys with the additional option of ‘OneTouch Optimisation’ which appears to shut down all your non-active apps. I’ve said it before but any phone without double tap to wake is dead to me – I’ve softened this stance, but the function is so good that it’s hard to use a phone when it’s missing and it’s missing in EMUI. That’s not to say that there’s no ‘Gesture’ control though, because there is. There’s several gestures you can enable in EMUI, from flipping the phone over to mute it, to picking the phone up and putting it to your ear to automatically answer it. There’s also a couple of ‘organisational’ gestures such as tilt to move an icon to another home screen and Shake to re-arrange the icons on a home-screen. Both are a little confusing to use and overall seem to have been thrown in for no real additional benefit. Overall, the whole system seems more aimed at the Chinese market than western markets. It’s got the feel that a Xiaomi phone has that wants to engage your attention in their additional services which they use to subsidise their cheaper hardware devices. Happily, you can change the launcher and make at least some of the issues with EMUI better, but that in itself is a chore, it’s not as simple as installing it and choosing your default launcher the next time you hit the home button. To enable a new launcher you have to first install it from Google Play, go to Settings > Apps and then choose Default Apps, then Launcher and from here you can choose your default launcher. Magnifier app aimed at vision impaired users which uses the camera to magnify everything in range. Mirror uses the front-facing camera to turn the phone into a mirror – when you open it, blow into the mic to frost it up. Of more note is Director. Director is actually quite a decent app which can sync up a number of different videos from a variety of phones on the same WLAN to make one big video. Install Huawei Director on the phones in your group of friends and you can capture all the action from multiple phones and then cut the footage into one glorious shot. It’s a very cool idea and it works surprisingly well, but I had to actually find a reason to do it. I have a soft spot for Huawei, the first phone launch I ever attended was from an invite to the launch of the Huawei Vision – also the first phone I reviewed. I still own a Huawei Vision (and several others) and over the years, it’s been a lesson in how a company can evolve their design and manufacturing processes. Huawei has evolved from using a stock Android interface to a custom 3D launcher which they licensed from a developer on Google Play, all the way through to the launch of their own custom Android Skin: Emotion UI, which began incorporating their own services and design language. Hardware wise, the Huawei brand has moved from the lower end to the higher end, from cheapish feeling plastics through to the premium machined aluminium body that the P8 utilises. The Huawei brand goes from strength to strength and the P8 is right up there at the high level. It’s a good phone, the phone looks and feels the business, the camera is excellent, though not quite at the LG G4 or Galaxy S6 level, the call quality is great, as is the other connectivity – the only place I feel there’s issues is the battery life and of course the software. For power, I tend to be quite close to a charger (car/desk) or portable battery for most of the day so I haven’t generally had issues here – but it’s not something everyone can do and it’s a definite down side for many people. The complete inability to use Android Wear on the phone and the strange notification bug are the big show stoppers as far as I’m concerned. I’ve been using the Huawei Talkband B2 with the P8 and for that it’s pretty good, but I do miss the utility of notifications and of course the advancements in wrist computing that Android Wear has brought – and I certainly worry about the Android Wear side of things with the looming launch of the Huawei Watch. Software too is an issue if you want to use the default EMUI interface, it’s not a ‘pretty’ interface and as that’s what most people see when they use a phone in a store, it’s a major hurdle – but that said, it is definitely usable. The Huawei P8 is a good phone despite these issues, and at $699 it’s a bargain when compared to other phones in the range. Huawei have said they are looking into fixes for the notifications and Android Wear compatibility and as soon as they deliver those, this phone will be a hard one to stop. Vodafone $40/month on a 24 month contract with a $10 per month handset repayment. Vodafone $60 Red Plan on a 24 month contract with a $7 per month handset repayment. Vodafone $80 Red Plan on a 24 month contract with no handset repayment. Vodafone $100 Red Plan on a 24 month contract with no handset repayment. Great review – thanks. 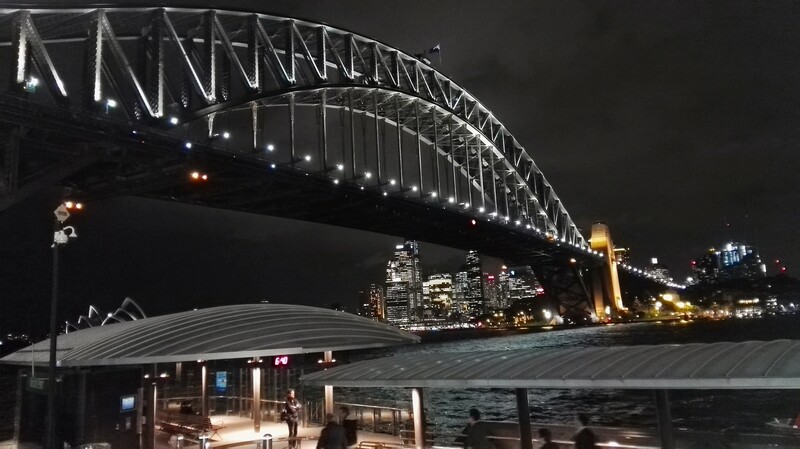 The night photo of the Sydney Harbour Bridge is amazing – if it can take low light photos like that the camera must be great. A question about the Android Wear issues and Pushbullet – will Pushbullet work to send notifications to a PC? I don’t use Android Wear but I use Pushbullet for SMS integration with my PC. BTW – the link you posted to buy an eInk case doesn’t work.